Tuesday, September 11, 2001 at 8:46 in the morning began an attack on Americans that lead to mass destruction and a huge loss of life. Many committed to never forgetting and this country and its citizens have not forgotten. Our family loss a very close friend, in fact he was a hero who went back to help others. This senseless killing still hurts after all these years. I watched a movie the other day and the twin towers were in the movie. I put the TV on pause for a few minutes to look at the towers and just to ponder the loss. It’s hard to move on when we know the attackers still want to do us harm. The only way that I’ve have been able to deal with this is by remembering to forgive my enemies and reminding myself this battle is the Lords. I thank God for keeping us safe from any major USA attacks since 9/11 and I pray for our precious United States Armed forces who are still out defending our country. I also pray for our homeland security, all police departments, secrect service and any special forces who protect us everyday. So where do we go from here in these years to follow? Well… we know that we’ll never forget and we should continue to seek the Lord for sustaining strength, comfort and protection. 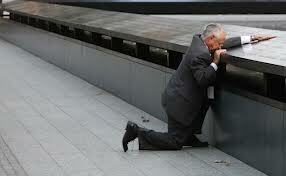 I would like to ask you first to help anyone who is still grieving from the loss of a loved one on 9/11. Please help all those who are still suffering from the loss of a loved one because of illness connected to 9/11. Please continue to heal those who were injured on that day. Please help those people who were affected emotionally and those who are still trying to put back the pieces of their lives. Bless all the children who lost a parent and all the parents who lost a child. Help those who are still very angry and mad at you. Lord please continued to watch over our country and keep us safe. I ask these things in Jesus name…Amen. Massage for today: GOD BLESS AMERICA!! Thank you for remembering 9/11 and I’m so sorry for your personal loss. But it seems as if people have forgotten only 13 years ago. My husband went 3 times with other firefighters on his department to attend funerals as they could. I believe that there was our department represented at all FDNY funerals. I asked him if he saw ground zero. He said it was off-limits so they could only see from a distance but it still had its impact on them. I didn’t know anyone. But I watched as those planes flew into the buildings. I called a friend who didn’t have cable TV and she came right over and she couldn’t believe it either. It was surreal. Then to hear that the Pentagon was hit. And that there was a plane headed for the White House but a few brave men thwarted that and they crashed into a field in Pennsylvania. And now, these same people are killing people all over the world, Christians are being beheaded and their children’s heads are being put on poles as they celebrate through town. ISIS, Boka Harem, Hezzbolla, Hamas, ISIL, they are all killing people, even those who are Muslim but do not believe that what these are doing is right so they shame them and then kill them. Then 9/11/2012 the events of Benghazi occurred. Then Secretary of State Hillary Clinton blamed it on a video and then the truth came out and she has the audacity to say later, “What does it matter now? !” What these monsters did to the Ambassador was horrific. I have pictures on my blog. People need to know the truth. She is running for president in 2016 and she still hasn’t taken accountability for her actions regarding the deaths of these people when they had been asking for help for days. To watch Bret Baier’s interview with 3 of the men that were there that night, 13 Hours at Benghazi, the truth comes out but they are still refrained from naming names in the CIA. Two horrific acts on 9/11… I asked my husband if he knew why that date is significant to the radical Muslims and he said he thought it had something to do with Osama bin Laden but he is dead so what is so significant about that date to them? I admire your committed prayer life and ability to forgive those who took the lives of all those people. I try, but yet they are still trying to come get us and they will. The Bible says that there will be wars and rumors of wars, but to fear not for I have overcome the World. I get a sense of peace when I see, read that, but then I see how another person is beheaded. Make no mistake, our president it part of the Muslim Brotherhood and this is why he is non-responsive. He says one thing, then says another, and always ends up on the golf course. He stood and looked into the camera and said he had no plan against ISIS. Then he addressed the Nation about ISIL. He never mentioned ISIS. He said ISIL. This is significant. He also said he had a 40 country coalition which was a bold-faced lie. His Secretary of State John Kerry said there were 11. In fact, at the time, there were none. Now there is Australia, maybe France, and maybe Saudi Arabia. I had a web ministry called LIKE PRECIOUS FAITH Ministries. I am waiting until I can move my domain name again to get my website back up and running again. It will be good for me to focus on this rather than politics. God bless you, Tanya! Your site has blessed me tonight even through tears… much needed, perhaps! God bless you Rhonda and God bless America! Amen and may America bless God! Just thought I’d post this again today. 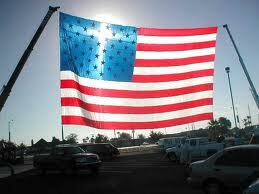 God bless and protect America! I am so sorry for the loss of your friend. I didn’t know anyone personally in the attacks, but I think all of us felt as if we did know someone. I remember crying everyday for weeks and staying glued to the T.V. I cannot believe it has been 11 years, seems like yesterday, but I think of it often. Thank you for you blog, this post and sharing your heart. High Kim…thanks for stopping by. I will visit your blog too. I too can’t believe its ben 11 yrs either. I suffer with a rare disorder called Peroidic paralysis and a few other disorders. I also was a stay at home mom because of my medical condition. Although I have suffered with having an illness…it has been a blessing too because I was able to be with my 6 kids 24/7. I also was able to be a prayer intercessor and pray for hours at a time. When life gives you lemons….hey you know the rest LOL. I’m so sorry you lost a family friend in this; I didn’t know any of the victims, but I felt their pain. We all felt their pain — we suffered with them and we realized our feelings of safety would never quite be the same. Tanya, this post is so appropriate on this anniversary — thank you for reminding us we need to turn to God. He will have the victory! He was COURT OFFICER HARRY THOMPSON JR. WHO AFTER HIS SHIFT RAN BACK TO HELP OTHERS. He was my sisters godbrother. He was an only chld and his mom was so heart broken she passed away sometime later. Thank you for your kind words. I am with you in this! A heart that forgives and loves is a beautiful heart. Prayers aligned to His will are as good as answered. God Bless America, God Bless You! Forgiveness helps us to keep praying for our enemys…God bless you too!